Sometimes it's good to look for something particular for a post. Sometimes it's fun merely to walk out and do nothing more than see what's there. Perhaps it would have been better not to go out just as the light was fading; when bright streaks crossed gathering shadows. But I did. I went for my walk when it was sunny in some places and shady in others. Impractical for photographs but a summary of the day within a minute. Some flowers wide awake and some getting ready for sleep. This is a time to notice how reactive many flowers are. It's the same in the morning. Sometimes I've gone out to photograph a particular flower. The sun is shining. The birds are singing. And there on the wrong side of the path is my plant - eyes shut and dozing. Dandelions and daisies are like that. Scarlet pimpernel too. Catch them at the wrong moment and you catch them shut. 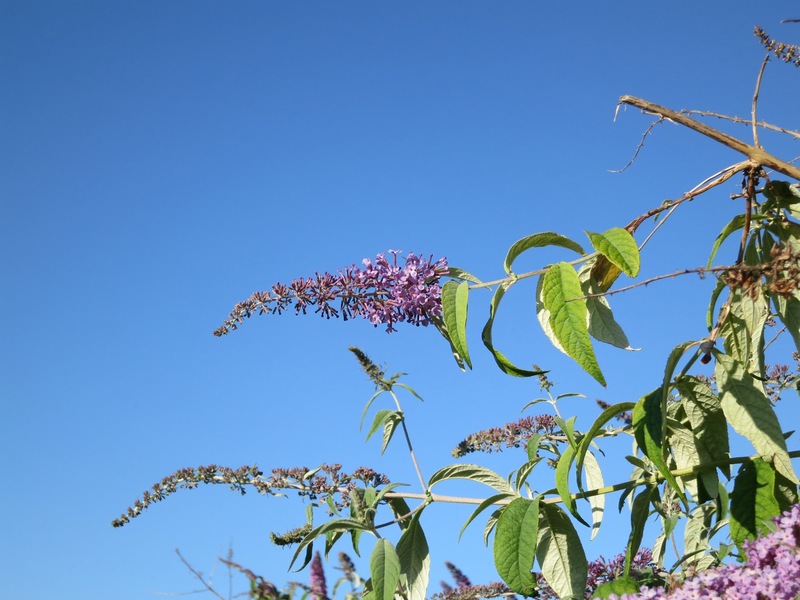 When I went for my walk, buddleia had its head in the sunshine - above the shadows. while admiring the grace of the others. 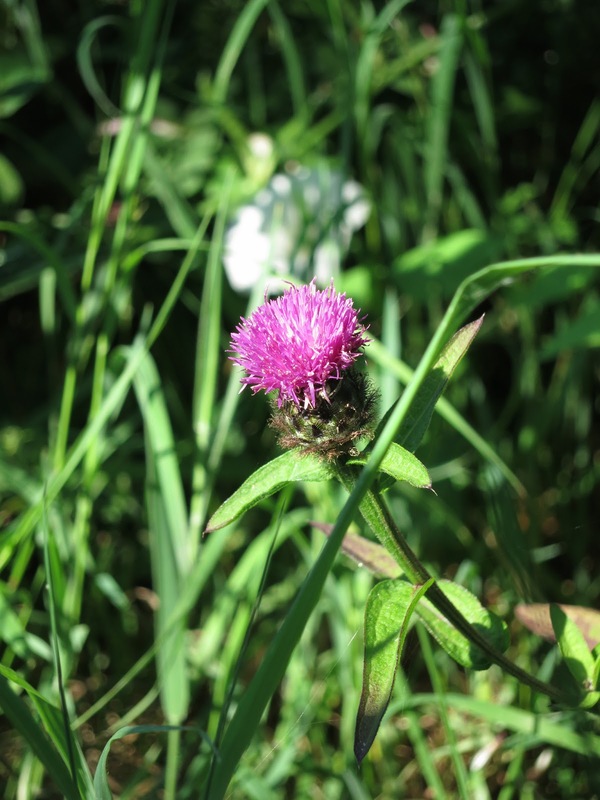 Caught in the grass, are the flowers of Common Knapweed (Centauria nigra). They are a bit like prickle-less little thistles - only they aren't prickly and the leaves are long and thin. 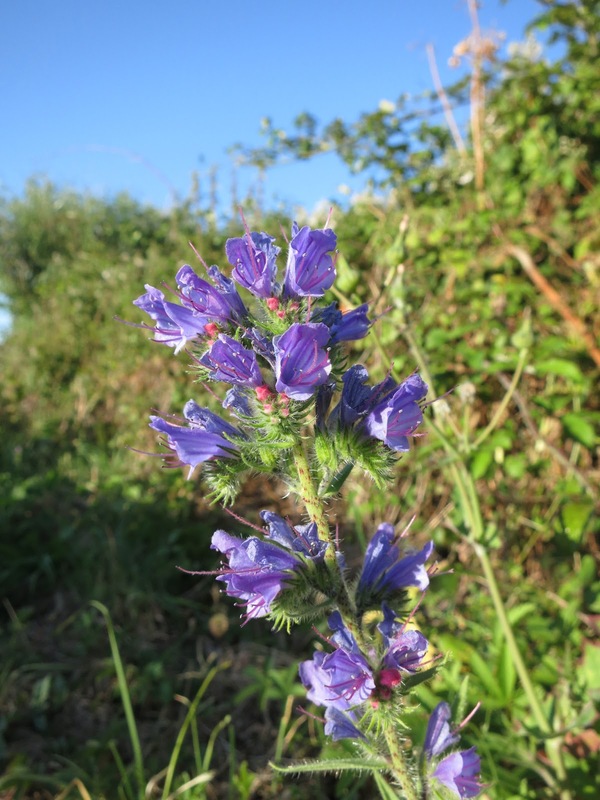 And right out in the sunshine, one of my very favouritest flowers - Viper's Bugloss (Echium vulgare). A shame it has such a terrible name! The flowers are interesting and vibrantly coloured. The seed pods are silver (when they come) and are covered in fine hairs that stick in your hands and hurt and are so thin and floppy they are difficult to get out. Ow! Very ow! 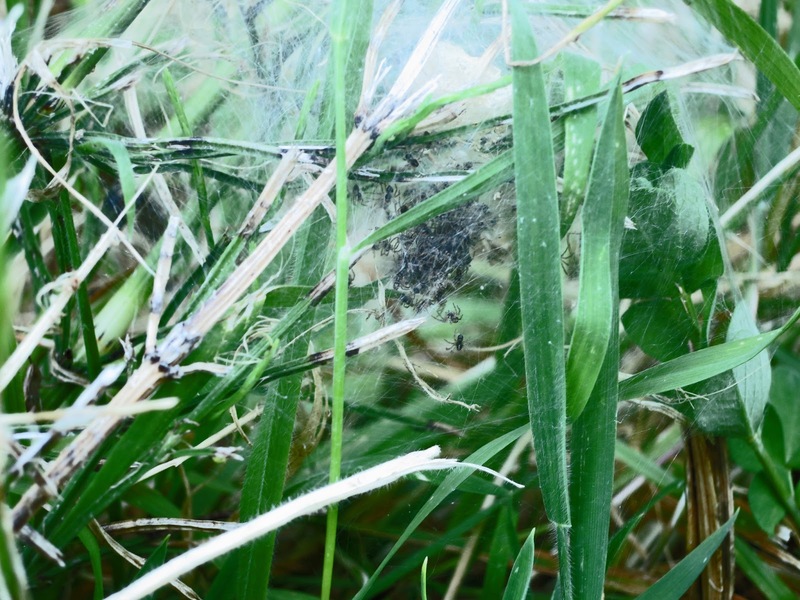 In front of the hedgerows, where the grass is short and coarse and rough after a council mowing, there are masses of white gossamer tents with tiny spiders inside. As well as following a tree - I'm now following spiders! 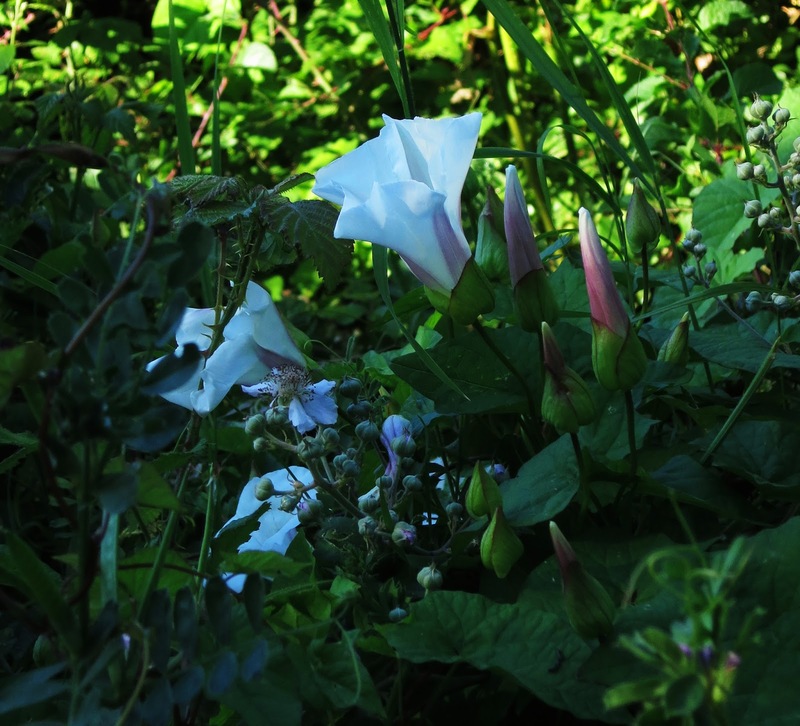 And on the way home, convolvulus trumpets close as shadows densen and fall across them. Elegance; with the white shining through the gloom much more brightly than the picture shows. Restful. Reassuring. Lovely. 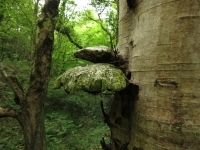 All photos in this post were taken on the evening of 3rd July 2014. Lucy, I think you're really lucky to have found the spider nest, and I look forward to news. 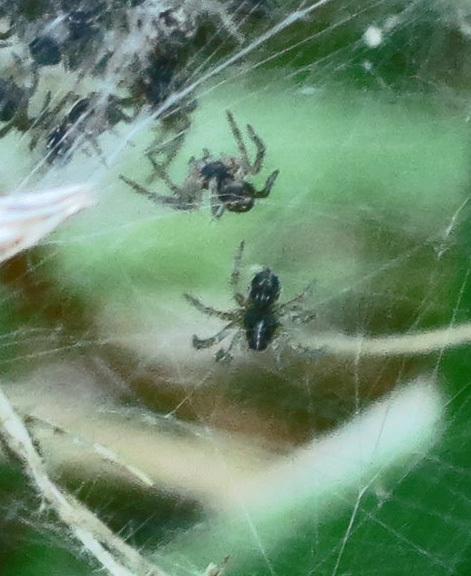 I'm a big fan of spiders even though I rarely know one from the next. My sunroom, with lots of plants, is a spider sanctuary -- NO killing or molesting allowed! I suspect Charlotte's Web (E.B. White) made a big impression on me, at age 9. I'm your third elsewhere. I try to write my posts for local and elsewhere readers - with a link for more info if they want it. Oh, I have a real soft spot for buddliea. Only yesterday I was standing on the railway platform at Bethnal Green looking at those growing out of a wall, over a taxi cab graveyard and thinking how they really do know how to make the best of the most unpromising places. You've got to admire that. Have to say I like Buddlia, have three different types in my garden, brings the Butterflies in..